Services for anyone we can reach! If you are looking for any type of plumbing maintenance or something as simple as fixing a leak or frozen pipe, call the experts today. 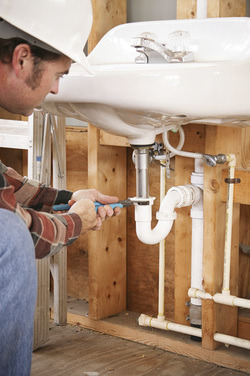 Who provides Boca Raton with the best plumbers and plumbing services, you ask? Well, if you want the most loyal, most dedicated, and most professional company in the area, you can stop searching; you found us. We keep the water (hot and cold) moving through your pipes and home or business here in Boca Raton and Palm Beach Florida. We have been providing our services for a combined amount of time equaling decades of expertise. We are based out of Boca Raton and love where we live, work, and play. If we’re not providing the best plumbers to the area, you can catch us down at Morton’s The Steakhouse or Tomasso’s Pizza and Subs; two of our favorite local eateries. Our kids go to school alongside your kids and our spouses work alongside your spouses. We are a part of this community and we aren’t going anywhere. We have found a rare thing in this world: our passion. We get paid to do something we enjoy and we get to do it in the town we love! Who gets to say that?! 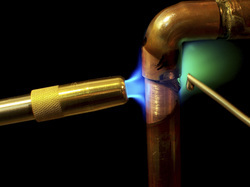 We are family owned and operated and provide both commercial and residential plumbing services. Our livelihood is in the hands of you, our beloved clients and neighbors! Our business and means of an income can live or die based upon your opinion of us and our services. This is why we aim to please on a level unrivaled by any other plumber in town! ​Sure, you can call Roto-Rooter, a national company that blasts out the same cliche, marketed stuff they crank out for all of their branches around the USA or you can trust the people you see at your local market, at the local Boca Raton Bobcats High School Football Games, or even pumping gas next to you at the station. Go with the company that knows your city, knows your pipes, and knows you; choose the Best Plumbers Boca Raton has ever seen! Plumbers and plumbing maintenance jobs are everywhere; you can find any company in the area, like All Clear of South Florida, to handle your needs and that is willing to assist you. But how do you choose the RIGHT plumber? You require someone with knowledge and more than just something they Googled or YouTubed. No more ‘self taught’ amateurs doing your maintenance or fixing your leaks. If you can’t fix the problem yourself, get the help from a licensed, insured, and experienced professional plumber. Hiring the wrong one could be an awful decision for both you and your pipes. Choosing the wrong plumber may make your situation much worse than it was originally. Save yourself some time and a ton of money by getting the right plumber for your job; the first time. Give us a call today and see how we can provide solutions for your needs.